Details: A central diamond or gemstone with accent diamonds in the shoulders has great finger presence. 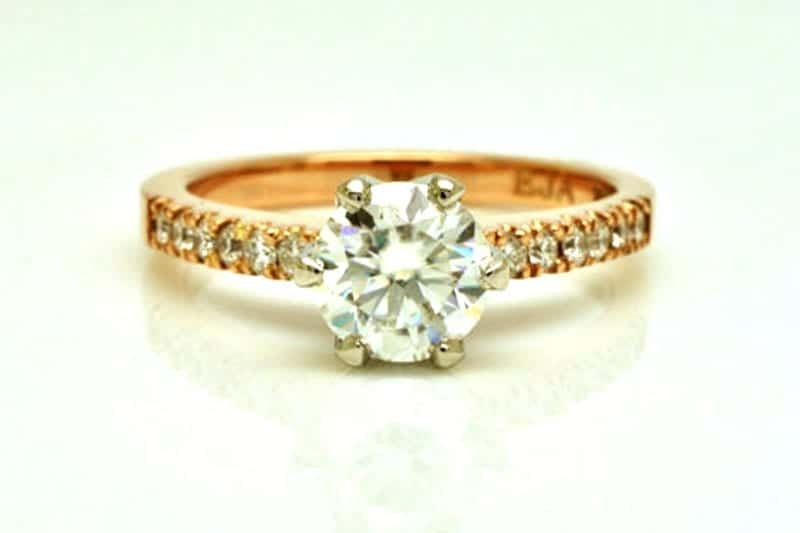 In this case a central moissanite, set in recycled platinum with Argyle (Western Australia) origin diamonds set in the recycled 18 carat rose gold setting base and shank (band). 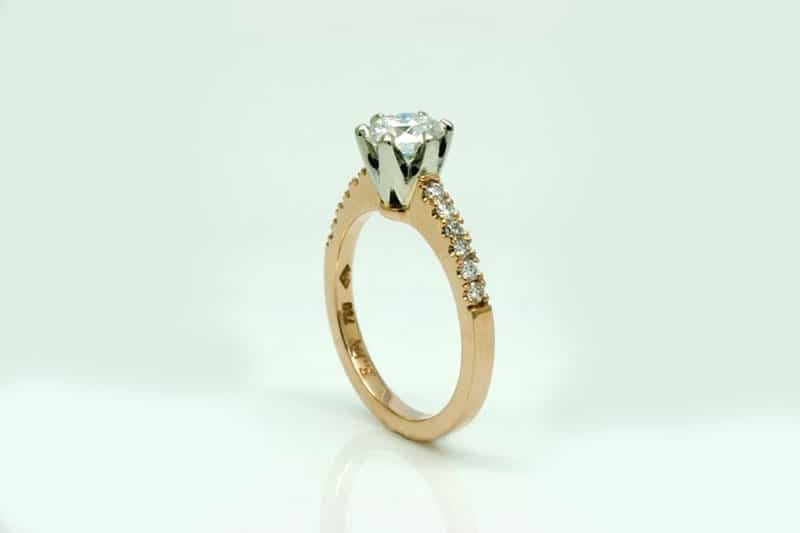 This is a handmade ring. 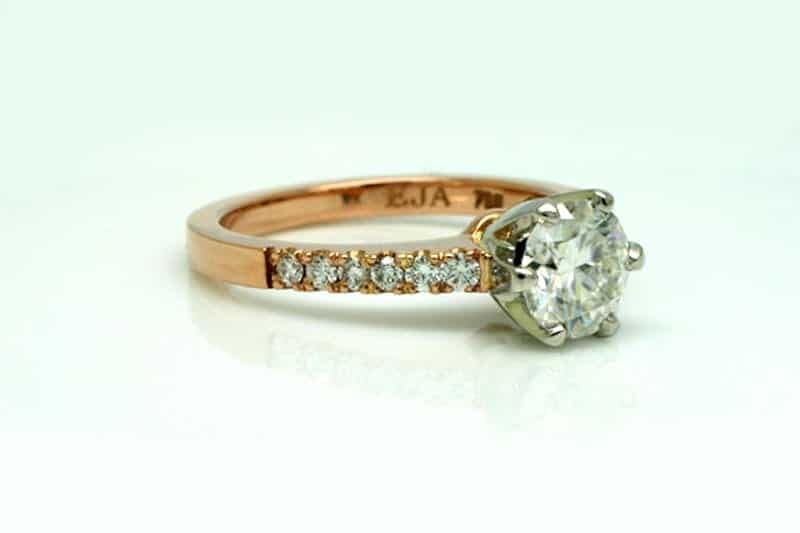 The moissanite is set in a modified ‘Tiffany’ six claw in platinum and the diamonds on the rose gold shank are scallop set with tiny prongs.